We offer a highly touted and certified E-Waste Recycling in Fargo, the rest of North Dakota and across the United States. With this service, you can rely on us when it comes to recycling and reusing all types of electronic items that are subject for final disposal. Recycling computers in Fargo is our expertise. We also cover the other areas in North Dakota. Our options are convenient and helpful. We can manage your e-waste well with our expert workers whose knowledge in this field has been molded through the years. Securing Hard Drive Destruction services can be possible with our presence in this city. Our workers are expert in wiping, crushing, degaussing, or shredding your data. We have safe and comfortable options for you. Shredding of Hard Drives in Fargo is a big help to business entities and the people living and working here. The surrounding area can also be safe with this service. We're here to help you have peace of mind through our data shredding practices. You can still earn from your End-of-life IT Assets such as old computers and mobile phones. Our ITAD services have been recognized by many people. When there's a need for you to dispose of your IT items, we're the ultimate solution. Our world is now congested with waste materials that contribute to the fast degradation of our environment. This goes especially in non-biodegradable wastes such as electronic items. In North Dakota, the All Green Electronics Recycling practices Fargo Electronics Recycling in order to help individuals and companies in disposing their unused items without harming the environment. The company has experts and topnotch facilities that make electronics recycling effective and safe. The company practices the policy of “reduce, reuse, recycle” in its electronic recycling process. Further, we have reached the EPA standards of handling and recycling electronic wastes and other toxic materials. Located in North Dakota, Fargo is the fourth fastest growing city in the United States of America in 2014 as cited by Forbes magazine. It is also the most populated city in North Dakota. 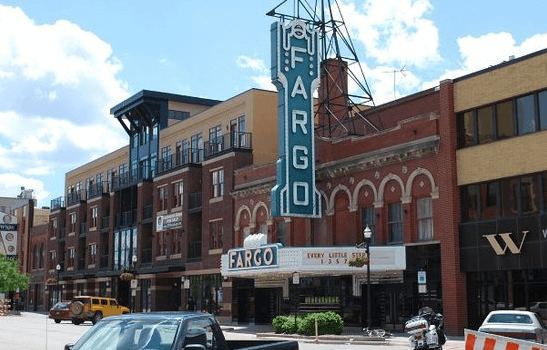 With a population of 118,253 in 2015, Fargo even exceeded fifteen percent of the North Dakota’s population. Come with this development and economic vibrancy is a population that has high purchasing rate of electronic products. Because of this, we offer electronic recycling services. This is convenient among companies that always worry on how to dispose properly their unused computers, laptops, printers and other electronic wastes. With us, e-waste recycling is very possible. If you are interested to avail of our e-waste recycling services as well as our other e-waste disposal services, you can contact us anytime. Our friendly staff and customer support representatives are always ready to answer your queries. With us, you are assured that all of your electronic wastes will be disposed and recycled with utmost security.